This is a blissfully easy recipe for a weeknight – 15 minutes, tops. I bought 225gm of smoked haddock loin as it was going for a song, being towards the end of the day. I wanted to make a low-carb salad for Pete, avoiding potatoes it at all possible. I had tomatoes and half a cucumber, and a couple of spring onions for the salad. I had absolutely no idea if these would work with fish, or with my favourite yogurt dressing. But, nothing venture nothing gain, so in a spirit of experimentation I decided to go with what I had, yogurt, smoked fish and all! First, the fish – i was worried that the smoked haddock might be very salty, so I decided to poach it in milk. To the milk I added some kasoori methi (dried fenugreek leaves) and a few peppercorns (still in the mad experimentation phase). The fish cooked in no time – well ok, a little time, about 5 minutes, perhaps. While that was happening I sliced the cucumber into sticks, finely sliced the spring onions and tomatoes, and made the dressing, whisking the yogurt, paprika, minced fresh mint and a little freshly ground pepper. . Bam, that was it – Pete’s dinner was ready, bar putting the components together. It really was that easy. And what do you know, it turned out to be very tasty, according to Pete. I was really pleased that the salad ingredients worked out. And all without even a peek at a potato! That’s what I call a result. 1. Put the haddock loin (cut into two, if necessary) skin-side down in a flat bottomed pan and pour in milk just barely to cover. Bring to a gentle simmer and let the fish cook for about 5 minutes, until the flakes separate a little and turn opaque. 2. Remove the fish from the milk and take off the skin while the fish is still warm. Break up the fish into flakes (easily done as the flakes will almost separate themselves) and set aside. 3. In a serving bowl, mix together the 2 cups of cucumber cut into two-inch sticks, sliced tomato and spring onions. Season to taste with salt and pepper and mix gently. Put the flaked fish on top. 4. 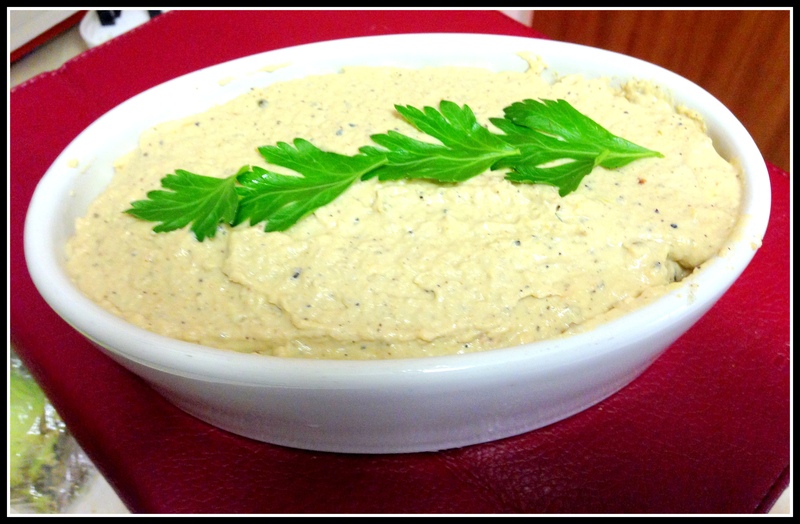 Whisk together 1/4 cup natural yogurt, lime juice to taste, 1 tsp minced fresh mint, a pinch of sugar and 1/2 tsp paprika. Pour over the salad, mix lightly and serve. Verdict: Super success, as Pete loved the salad and didn’t even enquire after potatoes. This entry was posted in Fish and Seafood and tagged cucumber, haddock, lime juice, milk, paprika, smoked haddock loin, spring onions, tomato, yogurt on November 1, 2016 by shyameds. I do like cooking with prawns because they take so little time to cook. Today I made a South Indian curry sauce for the prawns, a ridiculously simple recipe but incredibly fragrant and absolutely delicious. It might look ingredient-heavy, but believe me when I say that there are no complicated steps. So on to the recipe. 1. Heat 1 tbsp oil in a saucepan and add the mustard seeds and let them pop (about a minute on high heat). Then stir in the minced onion and fry for a minute or two until it softens. 2. Turn down the heat to medium, add the ground spice-coconut paste and fry it for 3 minutes, stirring occasionally. 3. Stir in the milk and passata and let it cook for 5 minutes, without letting it burn. You can add a couple of tablespoons water along with salt to taste at this point, if the paste looks very thick. 4. Add the prawns and stir to coat with the sauce. They should take 5-7 minutes to cook through (they will turn pink). Stir in the lime juice and taste the sauce to make sure the flavours are balanced. Sprinkle with the fresh coriander and serve hot with steamed rice or Indian flatbreads. Verdict: Pete thought the sauce was incredibly delicious with the prawns. This entry was posted in Fish and Seafood and tagged black pepper, coconut, coriander leaves, fennel seeds, fresh water prawns, garlic, milk, onion, tomatoes on December 13, 2015 by shyameds. I made this because there were some leftover vegetables from Sunday lunch and I was loath to throw them away – four pieces of roast potatoes, 1 small roast carrot and 1 piece of parsnip. And since there was some smoked haddock in the freezer, fishcakes seemed the easiest thing to make. It looks like there’s a lot in the ingredient list, but really the spicing is minimal (given what I’m used to, anyway). Pete and his mum both said the flavours were clean, the spicing didn’t mask the flavour of the fish or the potatoes. Which I guess is the point. I used semolina for a crunchy exterior, but if you want to use Japanese panko breadcrumbs or maybe even cornmeal, feel free. I served the fishcakes with sweet chilli sauce as a dip and a green salad on the side. 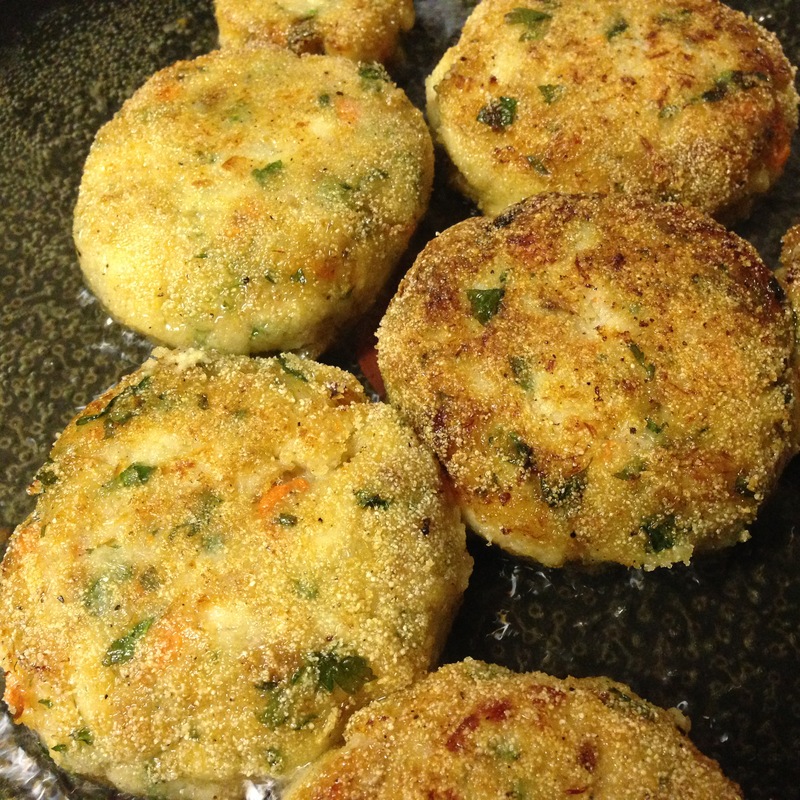 This entry was posted in Fish and Seafood and tagged bay leaf, black pepper, breadcrumbs, carrots, flat leaf parsley, hot paprika, mashed potatoes, milk, potatoes, smoked haddock, sunflower oil on April 2, 2015 by shyameds. I love recipes like this, where there are no steps as such to follow, no fiddly procedures. Just collect the ingredients and throw them together and that’s it. I used to find tuna really smelly, but I seem to have got used to it over time. The tuna I used for this recipe was line-caught tuna packed in olive oil, and it was actually quite mild, considering. I tried a little bit of this pate myself, and I have to say it was not smelly at all. That said, there’s the possibility that I couldn’t smell anything because my sense of smell has been affected by a rather horrible cold that I’ve had the last three days. I do think, however, that this pate is pretty mild-tasting and creamy. Rather nice. This entry was posted in Fish and Seafood and tagged black pepper, boiled egg, cream cheese, flat leaf parsley, gherkins, mayonnaise, onion, sliced almonds, Tabasco sauce, tuna in oil, Worcestershire sauce on February 15, 2015 by shyameds. Four steps. That’s all it takes. (Apart from the sub-steps for each of the four steps..;. but that’s all, honest. And at the end of those few steps and sub-steps, you get this gently spiced pie with a crisp cheesy mashed potato topping. You can use whatever fish you like in this, I guess. I bought a fish pie mix from the supermarket, so there were two-inch pieces of salmon, cod and smoked haddock. If you’ve read the recipe and you’re wondering why I didn’t add salt to the mashed potato or to the white sauce, it’s because I found out the hard way that salt water fish are salty in themselves, unlike fresh water fish. I’ve come close to making a fish dish inedible because I added salt… so I’m now a little less ignorant and passing on my wisdom (!) to you. I don’t have anything else to say on this topic, so shall we move on to the recipe? Yep… I thought you’d want that. 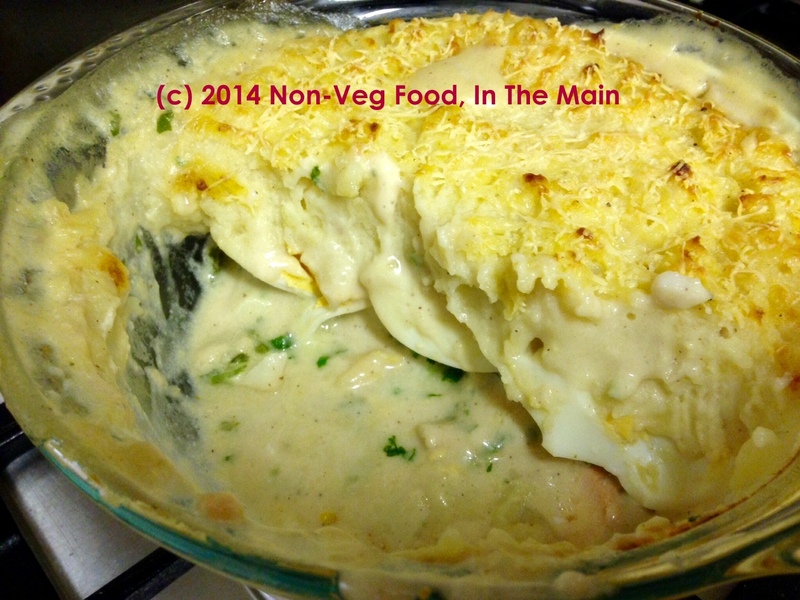 This entry was posted in Fish and Seafood and tagged all purpose flour, bay leaf, black pepper, boiled egg, butter, cheddar, cloves, cod, coriander leaves, eggs, Fish, flat leaf parsley, floury potatoes, haddock, nutmeg, onion, plain flour, salmon, smoked haddock, whole milk on November 9, 2014 by shyameds. Today, peoples, we will be cooking squid. If, like me, you don’t like the smell of seafood, I should warn you that squid will probably make a temporary mouth-breather of you. The important word here is “temporary”. It only lasts for as long as you’re around the squid. Once it’s cooked and served up, you will find your nose taking over that breathing thing once again, leaving your mouth free for talking or eating something that isn’t squid. Ok, I’m being mean – truthful, but mean. I mean, I don’t want to put anybody off calamari (that’s squid in American, I believe) – neither the eating, nor the cooking. Then again, I guess anybody who loves this stuff isn’t going to be bothered by anything I say here. 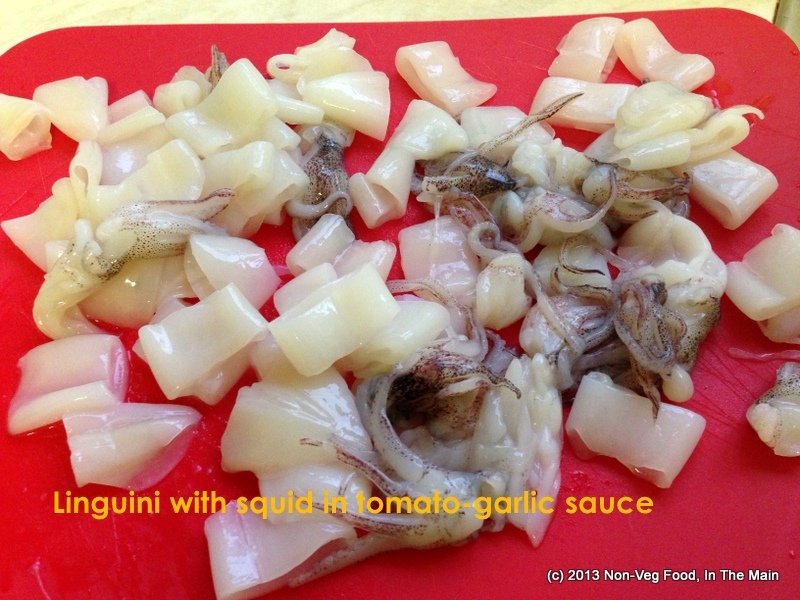 The good thing about squid is that it’s quick to cook, like most of the seafood I’ve posted about on this blog so far. It also doesn’t make your whole house smell of seafood (unlike, say, sardines). I used pre-prepared frozen squid. (I’ve not tried cooking fresh squid, and I’m certainly not about to prepare the squid personally.) All I did was defrost it (place in warm water for 5 minutes, then give it 2 minutes defrosting in the microwave). Wash again and pat dry as much as possible, using paper towels. Then cut it up into rings about 1 cm wide. Leave the tentacles as they are, or you can cut them up smaller if you like. Once that’s done, cooking the squid is a doddle. You can make the pasta sauce with fresh tomatoes if that’s how you like it, But If you use jarred ready made pasta sauce (like I did this time), this recipe comes together quicker than quick. 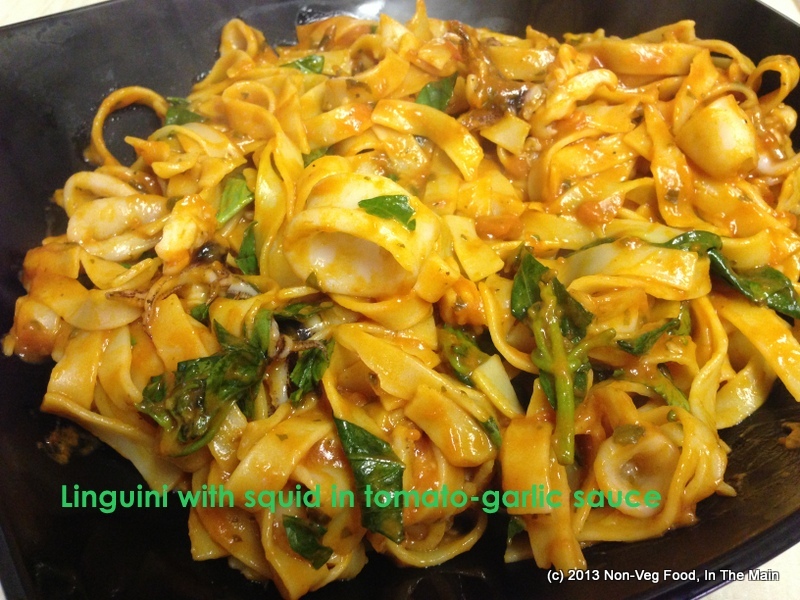 This entry was posted in Fish and Seafood and tagged Al dente, calamari, garlic, olive oil, Pasta, pasta sauce, Squid on August 24, 2013 by shyameds. It’s been quite a while since my last post here. I know, I’ve probably used that same intro for other posts too, probably word for word – on this blog, and on my vegetarian food blog too. Suffice it to say that I’m still looking for my mojo when it comes to posting something new. I’m trying, though. Anyway, I came across a recipe a couple of days back in The Guardian newspaper that kind of intrigued me, because it involved eggs and fish, a combination I had never come across on any food blog that I’d seen so far. As an added bonus, the ingredient list was pleasingly simple, so I went out that same evening and bought the required fish fillets. They weren’t whole fish, by the way. They were rainbow trout fillets, de-boned and blissfully unfussy to cook (and eat). I also wasn’t going to buy double cream just for this recipe when I had creme fraiche at home, so creme fraiche was what I used. If you have/want double cream, by all means go with it. 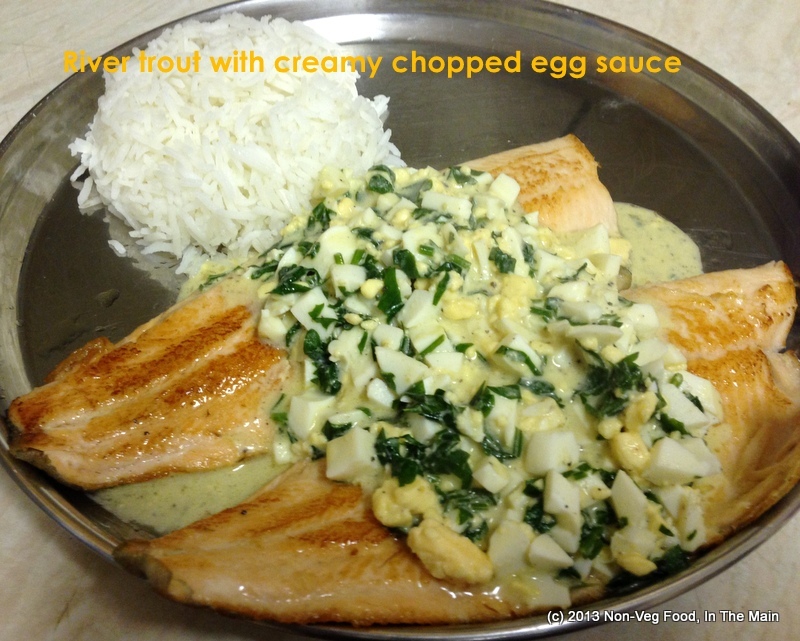 This entry was posted in Fish and Seafood and tagged butter, eggs, fish stock, lemon juice, olive oil, parsley, Rainbow trout, Trout, Worcestershire sauce on August 20, 2013 by shyameds. Where Oh Where Is It?